"It makes me stronger and confident in my day to day work and where I stand today"
From left: Mereani Vesikula, Sereima Sadiq, Marama Tamanitoakula, Anshu Kumar, Unaisi Navove and Mesake Wakolo. Working in a male dominated environment is not easy but 38-year-old Marama Tamanitoakula has learnt to rise above the challenges over the 16-years she has spent in the shipping industry. The Navukailagi, Gau, Lomaiviti native is Manager Freight with Transam Fiji, a place she had worked for over 16 years. “Being in a male dominated industry is challenging but I show up to work with a game face on,” Ms Tamanitoakula said. “Different game face different day, when I’m inside the four walls of the office, I prove that I am capable,” she said. “It makes me stronger and confident in my day to day work and where I stand today. Ms Tamanitoakula said her work in the company is to look after the Customer Services department ensuring that customers are well looked after. “This includes assistance with international communication & operational load plans relating to their ships. “I oversee the Company’s imports & exports documentation including cargoes transshipping via Fiji. With Fiji being the transshipment Hub of the Pacific, one of my major role is to see that all cargoes are accounted for. “My role also includes overseeing preparation of cargo discharge reports for our Operations team, Fiji Ports Authority & other respective Authorities. 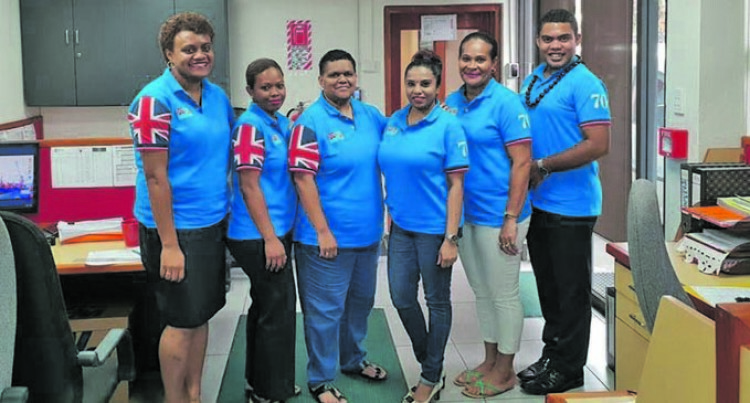 Miss Tamanitoakula obtained her Diploma in Secretarial and Officer Management from the Fiji National University which was then named Fiji Institute of Technology. She attended St Patricks Primary School then to Braddock Primary School, then to Chatswood Public School in Australia and she completed her primary education at St Agnes Primary School. She attended Ratu Sukuna Memorial School from year 9 to year 13. As the third eldest of seven siblings, one deceased, three brothers and four sisters, Miss Tamanitoakula attributes her success to her upbringing and the values that were instilled into her as a child by her parents. “My parents taught me how to succeed with integrity & honesty, the importance of going to bed every day with a clean conscience and that there is no substitute to hard work. “They made me push myself to my very limits, comforted me when I fell, helped me rise up back again and kept surging me forward, relentlessly. Miss Tamanitoakula shared her first experience when she joined the male dominated field. “Some jobs can make you feel like you’re not making a difference in the world but in order to be happy with your career path; you have to have a passion for it. “If you don’t have an interest in what you’re doing, you’ll soon burn out & become trapped on a career path that doesn’t make you happy. “Most importantly, in order to ensure we are sailing in the right direction, each individual should make sure they are physically & spiritually equipped. “Some of the achievements that I achieved and positions are Imports & Exports Clerk, Supervisor Freights, Lautoka Ships Agency Supervisor, and Manager Freights. “I believe qualification is not given on a plate, besides we have to work hard for it.